Game Review: Salt and Sanctuary [Ska Studios; Nintendo Switch] – Ouch That Hertz! Imitation is supposed to be the sincerest form of flattery. Yet, more times than not it comes off as a poor copycat or, in the case of a rivalry, particularly petty and vengeful. There are times where the imitator does pulls off the concept better than the original. Then there are the rare times where both the imitation comes off as a copycat while also doing things better than the original. It seems that a prime example of the latter is the Ska Studios developed Salt and Sanctuary that is not shy in showing itself as a 2D version of a “Soulsborne” game. The game saw critical success on its initial Playstation 4 release which continued across various PC platforms and the Playstation Vita. Now the game has come to the Nintendo Switch and looking to continue its run of critical and gamer praise. As someone who never quite got into the “Soulsborne” genre, would this be the game that finally clicked? First impressions look promising, as the game starts off with a bit of a story arc to it. The player’s character is one of the guards tasked with protecting a princess that was being ferried across the ocean to strengthen a tense alliance between two nations. The ship is then attacked mid-voyage and, in the resulting chaos, the crew shipwrecks on the musty shores of an island. After that, though, the plot development is almost nonexistent in the conventional sense, which is actually not a negative. If the player does not care about a story they can just go kill the enemies, or at least attempt to and die a million times, and if they do they can piece it together from item descriptions, enemy descriptions, location names, and environmental details. The game also gives the tutorial in a nontraditional way, as a lot of it is through messages in a bottle because get it? The character is shipwrecked on an island! …Yeah, it is a bit on the nose and dull. Unfortunately, that is not all that is dull with the game. The graphics take on a hand-drawn watercolor appearance that results in a rather depressing and frightening look for a platformer. It is as if Candle: The Power of the Flame, Dream Alone, and Child of Light had a baby together. 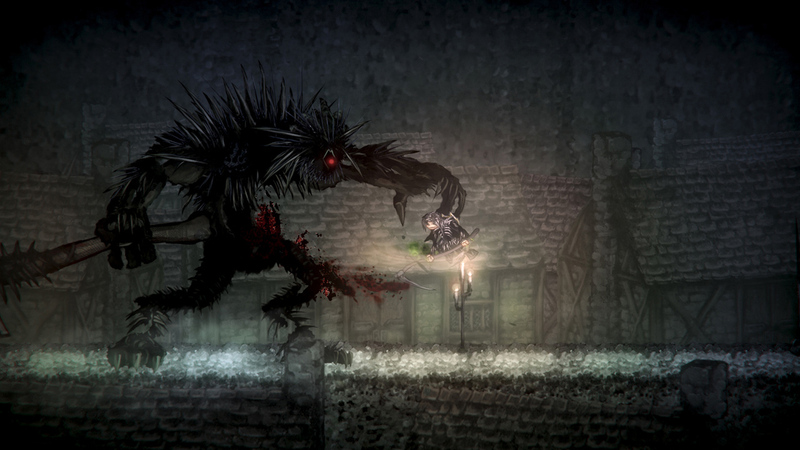 While hand-drawn graphics and watercolor graphics each have their charm and fans, the game is overflowing with a muted, almost extremely dark color palette. This causes multiple areas to start looking alike and adds a sense of repetition (it is also unhelpful that the game does not present the player with a map), which, in turn, causes the player to get lost while trying to traverse the world. In a 3D game like most “Soulsborne” games, this would not be an issue as there would be a map, but more important there would be 3D landmarks for the player to commit to memory. With this 2D game without a map that also focuses more on platforming, it turns into an almost nightmare. As far as the gameplay is concerned, anything the player does outside of walking is based around the auto-refilling stamina gauge that depletes when the player does any action such as attacking, rolling/dodging, or jumping. This is problematic from the get go, as even the opening enemies in the game are tank-like and can take down the character quickly if the player is not paying attention to the easily missed health and stamina gauges. The enemies are very aggressive and have quite the pack mentality when they are in the same general area. To make this worse, they are also dead set on killing the character and following them even if they move to a different area through the shining portals. While this makes sense for a 3D game, it really does not translate as well to a 2D setting. With that said, props to the developers for trying to give gamers an atypical experience- it is a shame it did not fully translate well in this regard. 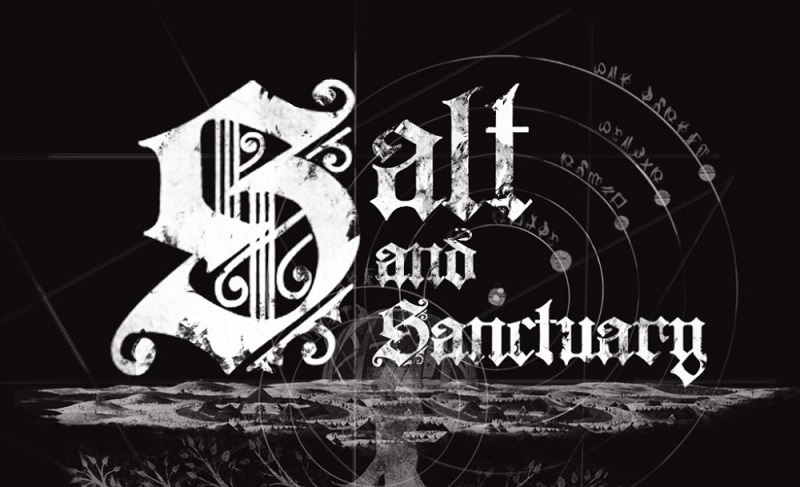 Now to discuss what really makes Salt and Sanctuary a “Soulsborne” game: the Salt system. Throughout the game, the player will collect salt from fallen enemies, purchasable bundles from vendors, and loot areas. Salt is the game’s experience currency and what the player will use to level their character up. However, there is a catch: if the player dies, all the Salt is dropped and is either absorbed by the killer or manifests as an additional enemy in that area. The player then respawns at the last shrine and battle their way back in attempt to get the Salt back. If they die before doing so, then the Salt is lost for good. This feedback loop is hurt by the fact the game’s combat is not the smoothest on top of the lack of description when picking a character class and trying to use the skill tree to upgrade. Review copy provided by Ska Studios; reviewed on the Nintendo Switch in handheld mode.